Hello, here's a card I made for the Weird Holiday theme using the Fun Tweet Bird set. A very quick and easy CAS Card! 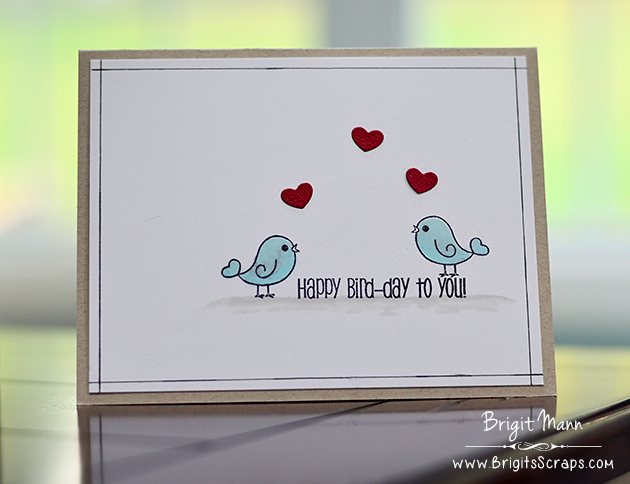 AWWWW Your card is so Tweet and Adorable. Love your cutie patootie little Bluebirds of Happiness your card will definitely makes someone's birthday extra EXTRA Tweet!! You so did a Super Outstanding Creative job!! YOU so ROCK!! Too stinkin cute! Love your little birdies!